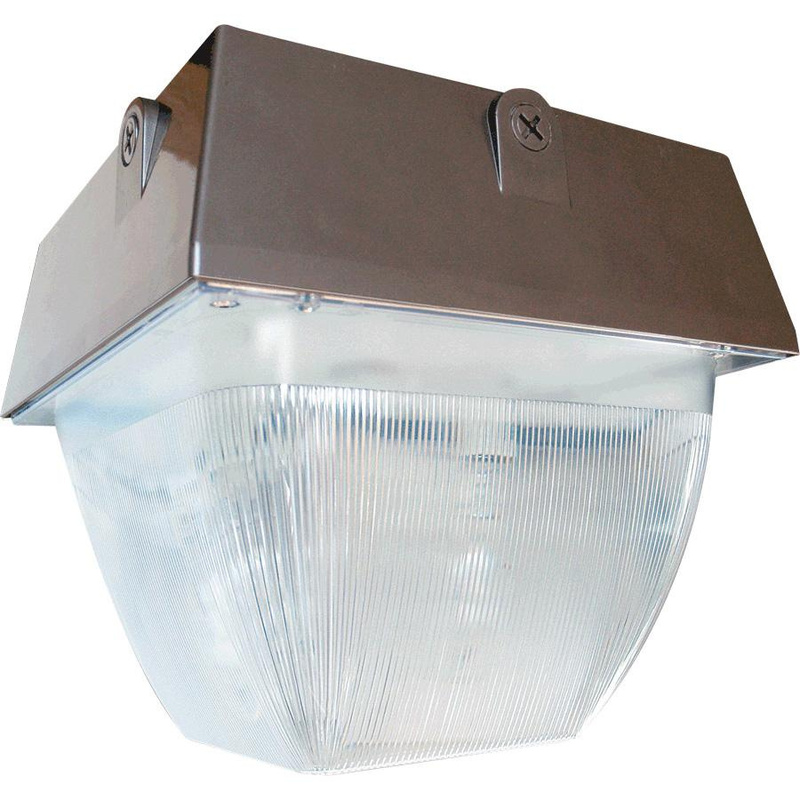 Rab Large vandal-proof fixture features die-cast aluminum construction with powder coated bronze/white finish. It has heavy gauge cold-rolled steel reflector with high reflectance baked white enamel finish. It accommodates 100-Watt 9000-Lumens ED17 lamp. Medium socket Lamp has voltage rating of 120 - 277-Volts. Ceiling mountable fixture measures 12-1/4-Inch x 12-1/4-Inch x 11-3/8-Inch. Vandal-proof fixture is UL wet location listed.